Super action in the salons of our gold! Super action in the salons of our gold! 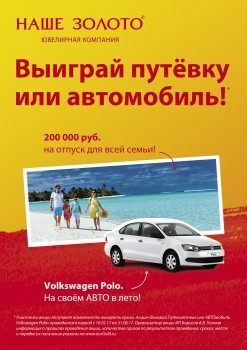 Win a trip or a car for the whole family! 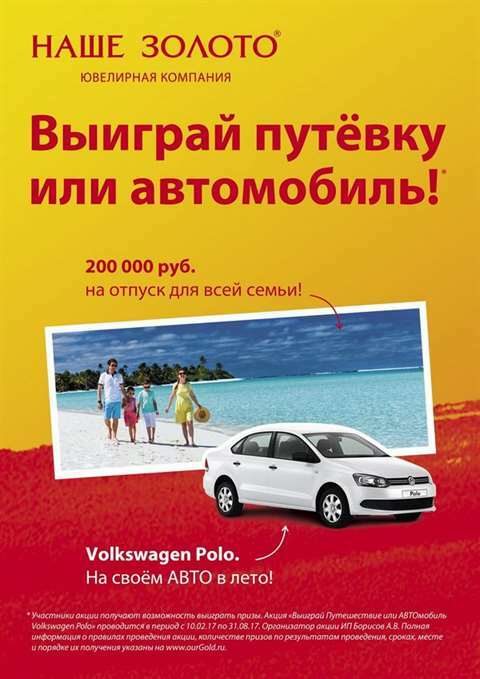 Make purchases and participate in a raffle travel, cars and other valuable prizes. Details and the period of the offer, specify in jewelry stores «our gold» and www.ourgold.ru site. «Our gold» — loads of buying bright emotions!